We've tried a thousand times. No matter how many times we try to replicate Doc Brown's time machine, we just can't seem to get it right (it's that darn flux capacitor that gives us so much trouble). We want to go back to 1985. We want to hang out at the Enchantment Under the Sea dance. We want to stand up to that jerk, Biff! Maybe time travel was never meant for us... but at least our feet can bask in the greatness that is Back to the Future with these Odd Sox! 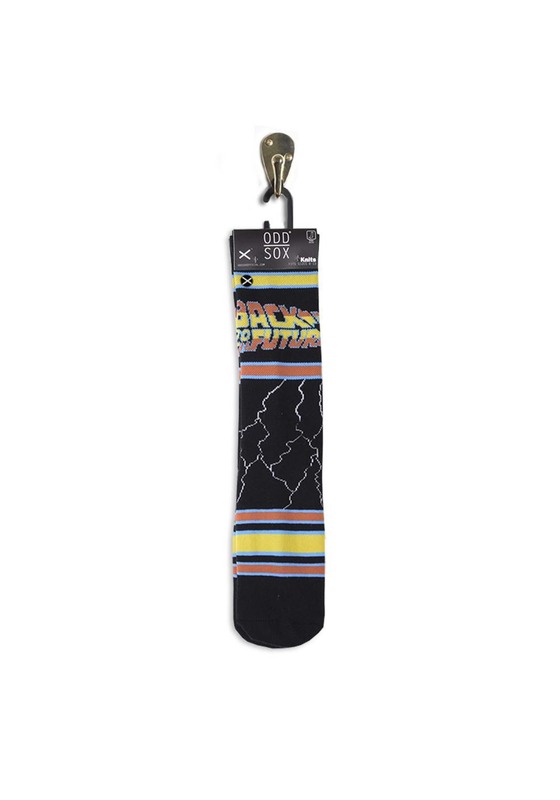 Based on the iconic movie from the 80s, these Back to the Future Odd Sox are knit socks for adults that pack a lot of Back to the Future style into them! They're black, but have red and blue stripes on them. They have the movie's log on the front and even have the iconic lightning bolt designs along the sides. Just toss them on your feet and you won't even care that you may never own a time machine of your own! 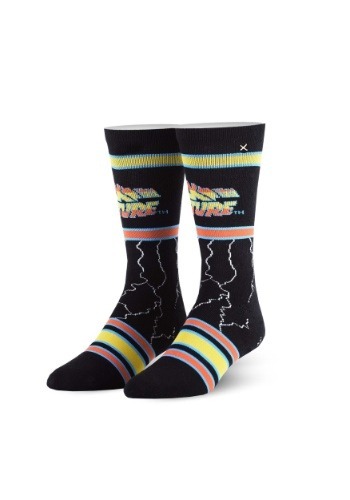 You can wear these Back to the Future socks with your everyday wear, letting you represent for your favorite movie!